Although this may not be an extremely exciting outfit, i do deem it important to post getups that don't look like it was dress up time. After all, it it real life we live in. At times, comfort and ease need to prevail... just as long as it's done in a tasteful manner. Wink! 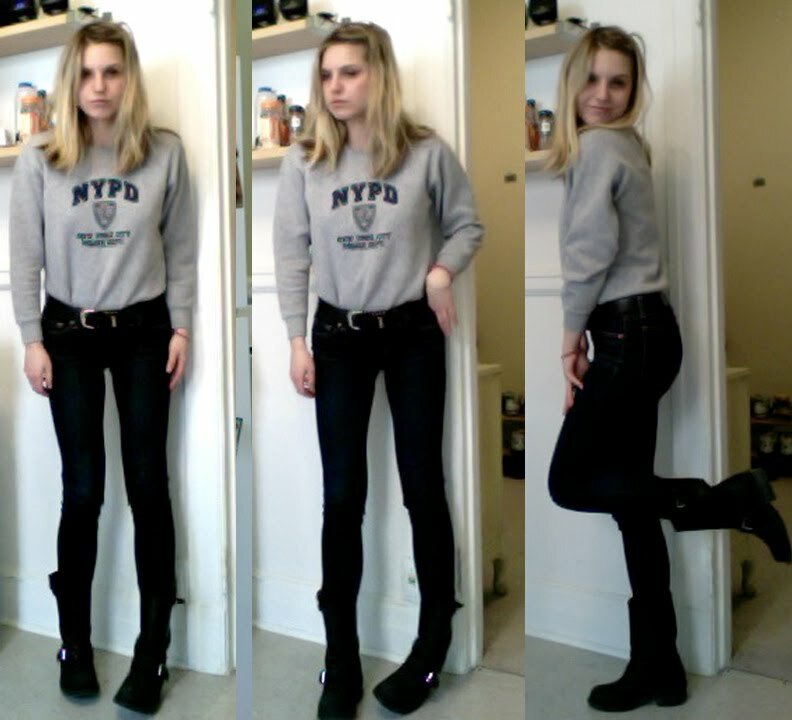 Ah I like this outfit :) Especially the NYPD jumper - I want one! First off, you're super cute and gorgeous. Second, I love all the pictures you post- very 90's and free, grunge/ girly. Third, STELLAR BLOG!! Those are fantastic boots! And casual style is just as important as 'dress-up' style, so it's great to see these types of outfits, too. You're in semi-FLAT boots lol!! and i Love this look! the dark denim is such a great combo with the black leather and grey. Love the last shot!! Awesome outfit sweetie!! I dun think i can ever carry that!